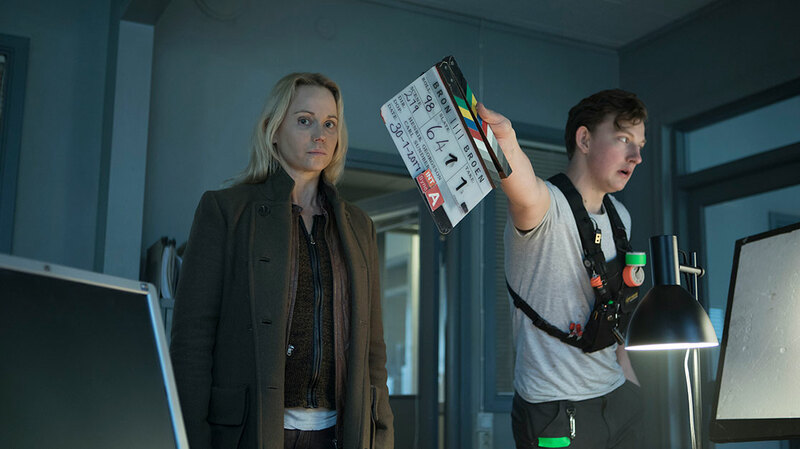 As the final season of Bron/Broen (The Bridge) arrives in the UK, actors Sofia Helin and Thure Lindhardt, creator Hans Rosenfeldt and head writer Camilla Ahlgren reflect on the success of the internationally acclaimed series. Swedish detective Saga Norén, portrayed on screen for seven years by Sofia Helin, has become one of television’s most iconic police officers. At once brilliant, straight-talking and socially awkward, she has become a figurehead of the Nordic noir wave that has captivated audiences since The Bridge first aired in 2011. Yet it could have all been so very different. Had the writers not had a change of heart during those early days plotting season one, Saga would not have survived to see season two. Hindsight, of course, is a wonderful thing and it is fascinating now to think how the series might have panned out had its lead character been killed off so early on. But thankfully the producers gave her a stay of execution – one that has continued to the end of season four and the show’s finale. 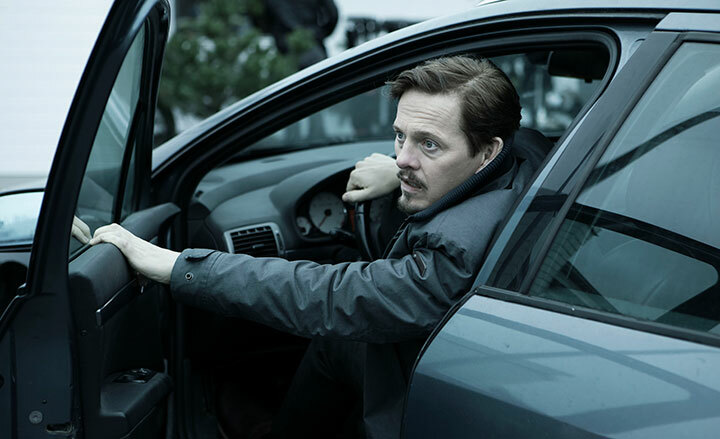 Viewers in Sweden and Denmark already know the fates of Saga and her Danish police partner Henrik Sabroe, played by Thure Lindhardt, as the eight-episode final run debuted in Scandinavia earlier this year. And now British viewers have the chance to see how it ends, with season four launching tonight on BBC2, having been promoted from the traditional Saturday night slot reserved for non-English drama on BBC4. Centring on what’s described as heart-stopping concluding case that tests the detectives’ special relationship to its limits both professionally and personally, season four opens when the body of a woman is found close to the titular Øresund bridge between Denmark and Sweden. It is found to be that of the head of the Danish immigration board. But since Saga has been jailed for the murder of her mother, Henrik must investigate the case with his new partner Jonas (Mikael Birkkjaer). 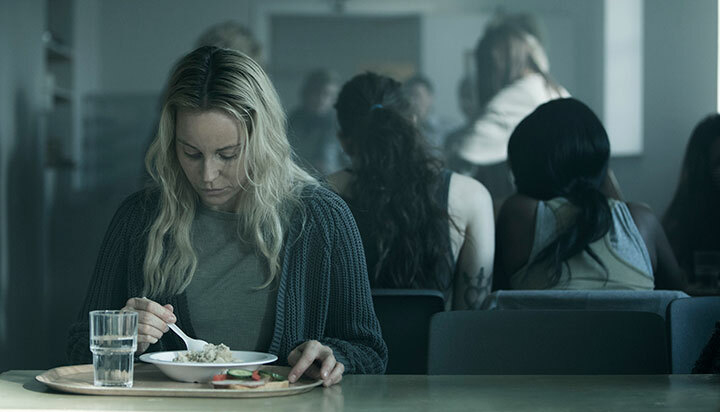 As is usually the case with Scandinavian dramas, contemporary themes loom large in the new season of The Bridge, which this time focuses on issues of identity. “We always work with a double story – it’s a crime story and we also want to say something about our society,” explains head writer Camilla Ahlgren. “That’s why this season, with identity, we found we could apply it to Saga and Henrik’s characters. The story will also look at the effect of immigration on both Sweden and Denmark, conceived as it was at the height of the European refugee crisis that contributed to the Øresund bridge being changed from an open road to a strict border between the two countries. Broadcasters in Scandinavia are keen that contemporary series have something to say about modern society, an attitude that Rosenfeldt says can add depth to the story and characters on screen. Produced by Filmlance International in Sweden and Nimbus Film in Denmark, the drama is distributed worldwide by Endemol Shine International and has been remade in six territories, most recently via a copro between Singapore and Malaysia. And the story that runs through season four, in which viewers will discover more about Saga and Henrik’s backgrounds, also contributed to the decision to end The Bridge at its peak, rather than continuing to bring the characters back and risk devaluing the success of the show. Following the departure of Saga’s original Danish partner Martin (played by Kim Bodnia) in season two, Lindhardt joined the cast in season three. “I wasn’t really worried [about joining the show],” he says. “I got this script and I read this character and immediately I wanted to play that part. My outlook was more how to interpret this character who was so brilliantly written. That was also partly down to the writers, who initially set Saga up with strong-willed detective Hanne Thomsen (Kirsten Olesen), whose relationship with Saga immediately became hostile. Henrik was introduced concurrently with a mysterious storyline relating to his wife and children, and was only partnered with Saga several episodes into the story. Though both Henrik and Saga return for season four, one noticeable change is the fact the main investigation is set in Denmark, rather than in Sweden’s Malmö as it has been for the previous three seasons, which meant a new police station setting for the cast and crew. So long to the city and so long to The Bridge. Saying goodbye to the series was “emotional, not difficult,” Helin adds. “I’m happy with the ending and kind of relieved and content. So I feel happy but a bit of separation sadness from friends and colleagues.